Hi, it’s Stella Lagerwolf-Bruno, rounding off the London Fashion Week greenygrey comedy – satire clothes highlights, after the amazing accessories blog earlier in the week. To be honest, it was such a whirlwind week I thought that was the only greenygrey outfit until I looked at my notes (editor’s note: realised I was only looking at Friday’s highlights!). Following on from yesterday’s blog, and our Grey’s wonderful Werewolf of Oz: Fantasy Travel by Google Maps book crossing dusty sandy paths with the awesome Oz: the Great and Powerful, there’s also an Australian dog connection. 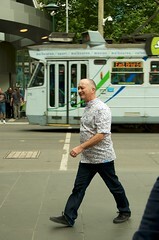 The designer, Geoffrey J. Finch (not a bird), has an Australian background, and his future plans are for ‘downward dogging’. Meant in the best possible taste we’re sure. Hi, it’s Greenygrey. It’s midweek, more or less, give or take an hour or two, comme ci comme ca, half the week passed so far. So I think it’s an ideal time to spring another episode of our favourite werewolf travels Australia to a Wizard of Oz theme; especially as spring is knocking on the door of the northern hemisphere. Talking of Wizard of Oz, the new Sam Raimi Oz prequel: Oz: the Great and Powerful is nearing release, and in another uncanny crossing of yellow brick roads – dust sandy paths with our Werewolf of Oz: Fantasy Travel by Google Maps book, Vue cinemas in the UK is offering entry into a prize draw for a family holiday to, guess where… yes, Australia!, if you book online. Terms and conditions apply, but it looks like you just have to book a ticket online to see the Oz: the Great and Powerful. The Greenygrey is just passing this information on to you, and has no involvement with Oz: the Great and Powerful or Vue cinemas. Now on with the show. And what a show we have for you today, with the newly bolstered travelling tribe celebrating their reunification; the genesis of an AC/DC and Rose Tattoo super-group and two loopy literary nonsense poems. I introduced Angry to everybody, and we had a fantastic feast that night. It was also our last night on Kangaroo Island, as we decided during the meal that we needed to get rambling again. We told our hosts. Angry fitted in well, and seemed to enjoy himself; even singing a few songs toward the end of the night. Bonzo played the bagpipes for one of Angry’s songs, and Elle danced wildly to the jolly tune. Everybody and everything seemed entranced by the music and dancing, and especially ol’ Scoty. Elle later said she’d enjoyed the music so much that she hoped there would be more when we returned to the road. She thought Angry and Bonzo gelled so well together they should form a band, and suggested Angry Bonzo / Dandelion Cordial would be a good name. 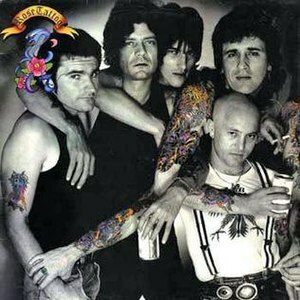 Rose Tattoo songs: Blood Brothers, Slipping Away, City Blues, Once in a Lifetime, Nothing to Lose. Hi, it’s Stella Lagerwolf–Bruno, fashion correspondent at the Greenygrey. The Greenygrey took the Greenygrey fashion team down to the London Fashion Show last week, and it was great to rub shoulders with today’s leading fashionistas, such as Ga Ga, GG and RiRi. Moreover, the Felder-Felder twins put on a fantastic FF impersonation of GG. Reading too much into this photo, and trying to twist everything to fit into a greenygrey theme, we believe they used black and white to keep the true greenygrey message under the surface, where only greenygrey connoisseurs will be able to deconstruct the intended depths… of satire we were born. 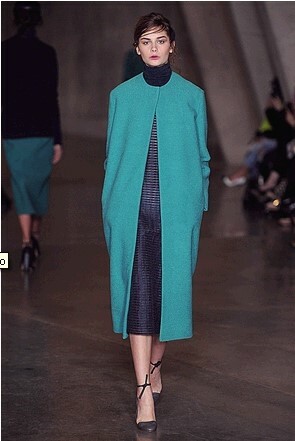 While I checked out the clothes, I sent Paco Wolfsang over to have a look at the accessories. He brought back a video and photos of a great Anya Hindmarch greenygrey display and collection. Hi, it’s Greenygrey. With time quickly running out on the week I think it’s about time we had the second thrilling episode of Werewolf of Oz: Fantasy Travel by Google Maps. 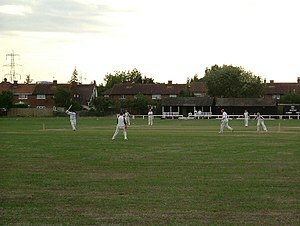 This episode sees the return of Grey to its travelling companions, along with new addition Angry. Tony Loboinson unearthed a great additional snippet of information about Angry’s human parallel in his research for this week’s historical background blog. He discovered that Angry Anderson has done a benefit gig for little-penguin research; I thought that was a coincidence with Angry joining the Werewolf of Oz story in little penguin land. When Elle saw us arriving she ran to meet us. She said she’d been worried, and was glad to see me back in one piece. I replied that in Oz I was already only a half of one piece really, remembering my green other half, but I was indeed still in one half piece. One of the little penguins recognised us and told Bonzo, who was still playing the bagpipes. Bonzo quickly lay them down and sprinted over exuberantly. After we’d greeted each other, I asked Bonzo what all the noise was about. He said the little penguins had so enjoyed playing AusRuIcket that they’d presented the bagpipes to him. They’d also burnt another set of bagpipes, and would play an AusRuIcket tournament for them every year called the ARIshes. I said that was great news, but where had the penguins found all the bagpipes. Bonzo said it was like me: a mysterious grey area that went back a long time. 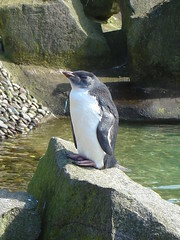 However, little penguin legend said a Rockhopper brought them over. Rockhopper is a type of penguin. Bon Scott played the bagpipes, and wrote an AC/DC song called Rocker along with Angus and Malcolm Young. Hi, it’s Tony Loboinson, history expert at the Greenygrey. Regular readers of Werewolf of Oz: Fantasy Travel by Google Maps might be wondering about Grey’s travelling partners’ human parallels’ rock n’ roll past, now that Angry has joined Bonzo, Elle and Grey on the dust sandy path. Last week marked the 33rd anniversary of Bon Scott’s untimely passing away at age 33. AC/DC were just starting to make it big on the worldwide stage, which made the tragedy all the more cruel. While AC/DC have continued to make great music with Brian Johnson taking over vocal duties, their rawest and most inventive music was found on the Bon Scott albums. The good news about the Bon Scott life story was that he had time to live a full life and create several albums worth of great music; achieving top ten chart success in AC/DC’s birthplace Australia; well as touring the world living the rock n’ roll life he loved. 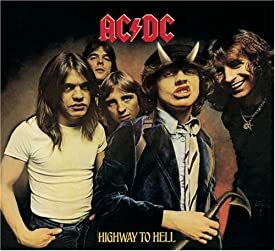 The reissue of four old Bon Scott AC/DC songs together with the release of Touch Too Much from the newly finished Bon Scott AC/DC’s Highway to Hell album brought the band their first Top Forty UK singles. Marc Latham was a youth looking for a musical tribe at the time, with Britain divided into distinct musical cultures such as punks, skinheads, hippies and rockers. The peak of Blondie and New Wave was waning and he wanted something with more identity. He toyed with Two-Tone, liking some Madness and Specials, but it didn’t quite grab him. The New Wave of British Heavy Metal (NWOBHM) was getting media coverage; with the barbarian look, sound and attitude appealing to Marc. Together with the raw sounds of Iron Maiden, Def Leppard and Saxon, Rainbow charted with a couple of great songs from their Down to Earth album. When Marc heard the AC/DC songs released around the time of Bon Scott’s passing it made his mind up. He became a staunch rock and metal fan for the next fifteen years. Although he sold many of his old albums, he still has all the Bon Scott AC/DC LPs. He also still has the first three Rose Tattoo LPs. To mark the recent Bon Scott anniversary Classic Rock magazine provided a great long article about his life and the night of his passing, which is available from the above link. 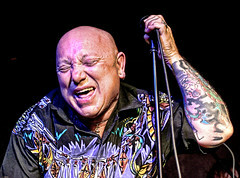 It features Angry Anderson of Rose Tattoo; Angry’s human parallel; saying that Bon was the only one he invited to sing with the Tatts. So, as Bonzo and Angry travel with Grey across Oz, they were also sharing stages in 1970s Australia. I thought I might have unearthed the definitive version of what happened to Bon on his last night in that Classic Rock article, but then saw in the comments that it was an old article, and Bon’s mysterious partying partner that night had been found, and given his version to Classic Rock and Metal Hammer. Classic Rock replied that the old article had been updated, and that Bon’s partying partner had only spoken through a third party. Hi, it’s Greenygrey. We’ve reached the second half of the week, so I think it’s about time we had another thrilling episode of Werewolf of Oz: Fantasy Travel by Google Maps to brighten up a late winter day in the northern hemisphere, or dull a late summer day in the southern hemisphere. This episode continues through the Rose Tattoo discography, using song titles from their second and third albums, after the previous episode focused on their first album; with a little literary nonsense ditty of Grey’s chucked in. As we hiked back to the others we saw an Assault and Battery, and it inspired Angry to sing that it felt good to be Out Of This Place. But he later said he intended to heed All The Lessons he’d learnt; and as for any pent-up resentment, he’d just Let It Go. I said that was probably a good attitude, as otherwise he could be Scarred For Life. That inspired Angry to sing that he had a feeling It’s Gonna Work Itself Out, and if we’re not bothered Who’s Got The Cash, We Can’t Be Beaten. By the time we reached the outskirts of our destination I felt I knew Angry a lot better, and had become convinced that he’d be a great asset on our epic Ozyssey. The first sound that reached our lugs on the approach to the King Scote realm was that of bagpipes, and when the player came into view I was shocked to see that it was none other than our Bonzo. lug – slang for ear. 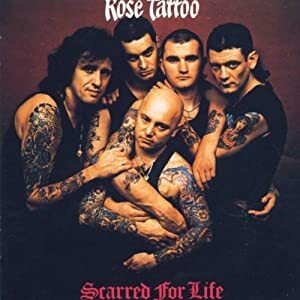 Rose Tattoo songs: Assault and Battery, Out Of This Place, All The Lessons, Let It Go, Scarred For Life, It’s Gonna Work Itself Out, Who’s Got The Cash, We Can’t Be Beaten.